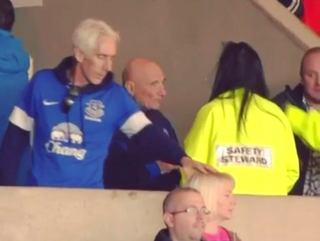 Is This An Everton Fan Wiping His Booger On A Lady's Head? Please, someone convince us that our eyes are lying. We can support friendly banter, but not this.